Videogame publisher Take Two has announced its Q4 and FY16 financial results, with the company enjoying what it describes as, “stronger than expected,” numbers. So strong in fact, that the Grand Theft Auto V publisher has even gone as far as stating its, “hard at work on exciting future projects.” and that more news will be arriving soon. So what could this mean? Considering Rockstar's undying focus on GTA Online, we can probably take any chance of any GTA V single-player content making an appearance. Instead, the big rumours suggest Rockstar's next big project is a sequel to one of the most acclaimed sandboxes of all time - Red Dead Redemption. 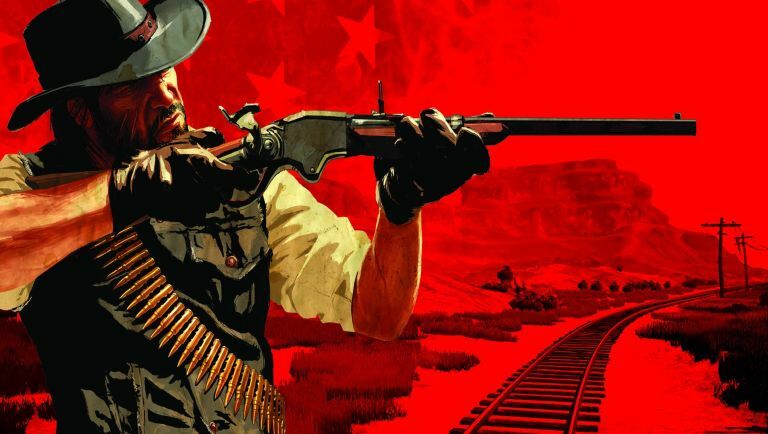 TechRadar's exclusive story last month on a reportedly leaked image of the in-game map for what appears to be a Red Dead sequel does add a lot of weight to this theory, and considering the success Rockstar has had with GTA, a return to the world of the Marston's does make a lot of sense in terms of reigniting a much-loved existing brand. So when are we going to hear? Rockstar is notoriously shy at E3, often no-showing the big expo in Los Angeles in favour of its own reveals on its own terms, so will be see some sort of teaser or announcement before June? With E3 losing more and more publishers as independent shows take precedent, we wouldn't be surprised to see such a move.